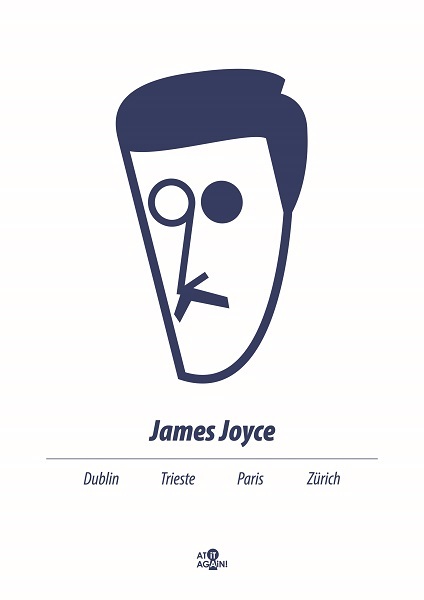 This graphic James Joyce print by At it Again! features an iconic image of the Irish author of Dubliners and Ulysses, and places of importance in his life. A perfect literary gift for Joyceans and book lovers for birthdays, Bloomsday, Father’s Day and other special occasions. Or a great way to show your love for the places you call home or have traveled. Made in Ireland. 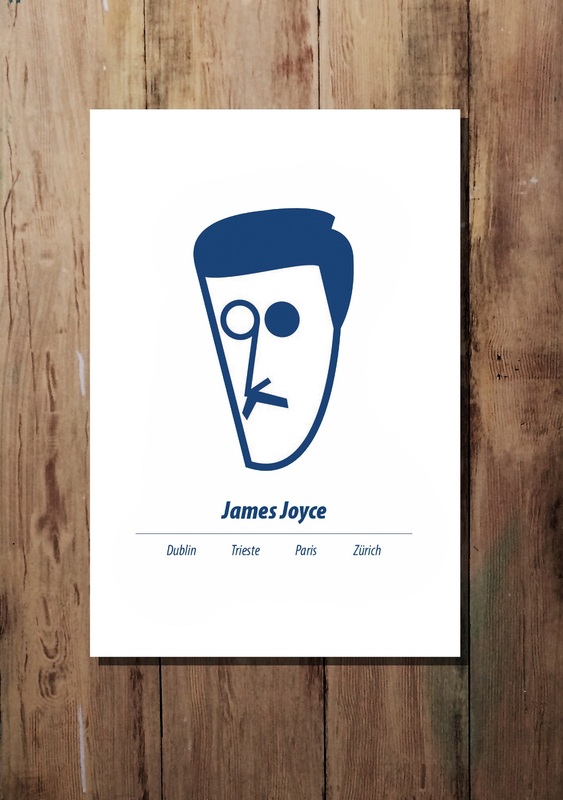 This graphic print of James Joyce by At it Again! features an iconic image of the Irish author of Dubliners and Ulysses and places of importance in his life. 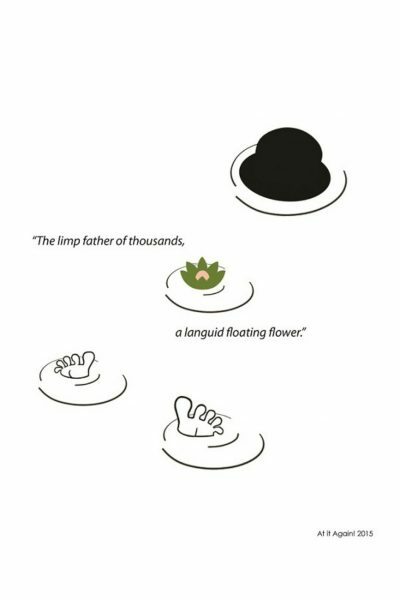 The illustration is from the author’s bio in our pocket guides, Romping through Ulysses and Romping through Dubliners. A perfect literary gift for Joyceans and book lovers for birthdays, Bloomsday, Father’s Day and other special occasions. Or a great way to show your love for the places you call home or have traveled. Made in Ireland. James Joyce was born in the Dublin suburb of Rathgar. He enjoyed the good life as a child and went to a prestigious school but this all evaporated when his father squandered the family’s wealth. By the time Joyce was a teenager, he was living on the edge of Dublin’s notorious red light district. As a student he was considered the bad boy of Dublin. Even today Dubliners love to hate him. A cunning linguist, Joyce eloped to Europe with his lover, Nora Barnacle, to lead a life of artistic exile. They lived in Trieste and Paris and secretly married years later. Seeking refuge from World War II, he moved the family to Zurich where he died shortly afterwards. 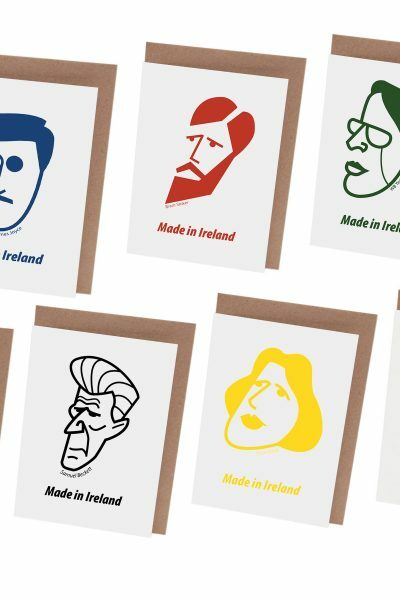 You can find more James Joyce literary gifts here.